The Bulgan Range itself begins just southwest of Bulgan and runs NW about 27 miles. The trails described here are on the northern third of the range -- about 95 square miles (~245 sq. km. and ~60,000 acres). Here the range is about 14 miles wide and is a complex of small peaks, ridges and long valleys, running in all directions. This is XC/AM riding in beautiful country. Come ready to explore and play. The "trails" are a network of ST, two track, dirt roads and open slopes to freeride on. The 50 km trail distance for this upper portion of the range is purely a best guess from our limited riding, driving through the area and interpreting satellite images. Review: The Bulgan Range has a quaint beauty with small to moderate sized peaks and long ridges and valleys perfect for riding. We have only ridden a small portion of trail on the north end, but what we rode was really nice. Depending on your route, a ride could be more XC or more AM. This is great place to camp and ride. It would also be cool to bike pack the entire range (not just this upper third) and explore the many side trails along the way. 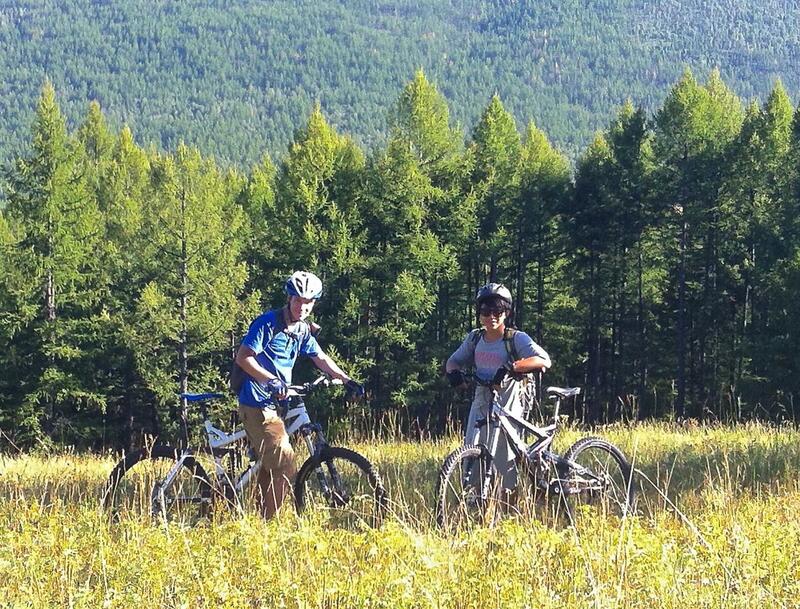 Bulgan Range North MTB Trail 4.00 out of 5 based on 1 ratings. 1 user reviews.